These days it seems most months have adopted an alcohol-free moniker—think Sober October or Dry January—such is the popularity of taking a break from the booze. But whether you’re testing the waters, are a usual non-drinker, or designated driver—I’d vouch the biggest hurdle is getting through social gatherings, especially come the end of the year. As a non-drinker, your options tend to hover somewhere on the spectrum of sugary sodas or sparkling water, neither of which make for attractive sipping options while the adults mix cocktails. But, if you’re lucky, a drinks menu will nudge you towards mocktails. Let’s not think of the misunderstood mocktail as less than—sure, you’ll need to do more than subtract the alcohol (a gin and tonic without the gin is just not really the same, is it? ), but options abound. Like a good cocktail, a good mocktail should have complex flavors to appreciate—balancing sweet, sour, bitter, and fragrant notes—all of which can be achieved at home with a few simple ingredients and a couple of tricks up your sleeve. 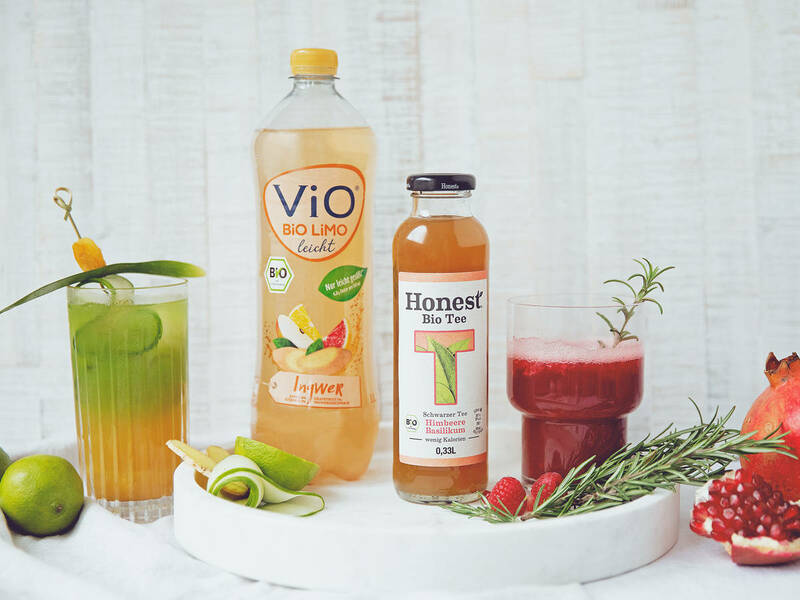 Right in time for the festive season, here are some ideas for no-booze, low-sugar, hangover-free drinks—to serve to drinkers and non-drinkers alike. If you’re entertaining, be a gracious host and provide non-alcoholic options for your guests—make a pitcher and set it on the table and let people serve themselves. You could see if anyone notices, or better yet, just take the compliments as they come. 2. Don’t forget vegetables: Vegetables that are high in water content, take refreshing cucumber, add that extra something to drinks. But there are uses here beyond garnish—simply blitz and strain some cucumber to extract a deep green, grassy juice. It pairs well with lime, watermelon or pineapple. You could also use celery to similar effect, or reach for beetroot juice for a pop of color. 3. Choose a base note: Choose a soda as your main mixer to give effervescence and a base note. Since you’ll be adding other sweet elements, read the label to find a reduced sugar option that won’t flood the drink with sweetness. Ginger sodas are a good option here. 4. Make time for tea: Teas include notes that range astringent, floral, woody, and bitter—not unlike favorite liqueurs and aperitifs—which makes them a great choice for mocktails. Experiment with different styles. 5. Garnish, garnish, garnish: Don’t under-estimate the power of a garnish to elevate a drink—try something as simple as a humble rosemary sprig or a wedge of lime, but if you’re feeling extra creative thread a skewer with the fruits used in your drinks. 6. Herbal essences: On that note, you can get more out of oil-rich herbs like rosemary by charring them lightly with a flambé torch to release their fragrance and add a smoky touch. Why not call it your party trick? 7. Make a gradient: Pour in your thinnest liquids, like soda or tea, first, and more syrupy or pigmented liquids last to create beautiful layers of color in your finished drink. Do you have any lingering questions about mocktails? Let us know in the comments!